BOISE, Idaho -- Idaho Rivers United (IRU) is blasting Idaho's Congressional delegation following a House vote overturning a federal judge's order protecting endangered wild salmon. The vote was 225 in favor to 189 against. According to IRU Executive Director Kevin Lewis, Second District Congressman Mike Simpson voted in favor of the bill. First District Congressman Raul Labrador was campaigning in Idaho and missed the vote. A federal appeals court rejected the government's appeal of a prior federal court ruling. 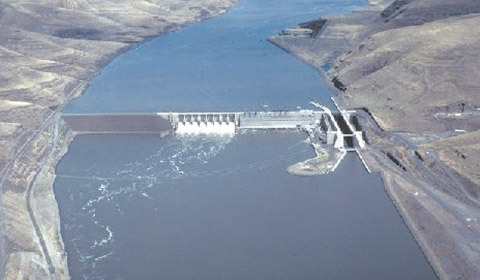 The ruling required dam managers on the lower Snake and Columbia rivers to spill more water for salmon passage and rewrite the government's hydropower operations plans by 2021. "It's disappointing when elected leaders from Idaho either don't recognize the importance of the legacy of wild salmon in Idaho or, worse, put that legacy in further jeopardy for short-sighted political reasons," said Lewis. The bill, H.R. 3144, now goes to the U.S. Senate for consideration. Lewis, who calls the bill the "Salmon Extinction Act," said the measure would lock in an expensive, inadequate salmon plan, reduce spill designed to protect young migrating salmon, and prevent further study of lower Snake River dam removal and other actions necessary to restore wild salmon runs. "Idaho's salmon and steelhead are returning at historically low numbers," Lewis said. "Fishermen, fishing families and their communities are feeling the pinch, and this bill would make their dire situation even worse. That's why we call this bill the 'Salmon Extinction Act.'"